Our craftsmen at Brandenberry have a breadth of furniture knowledge. It not only encompasses modern furniture styles but delves deep into traditional styles. As a result the Carolina Hutch possesses a truly rustic style. This hutch shows our dedication to using high-quality woods and traditional woodworking methods. The Carolina Hutch is a treasure for furniture-lovers. It’s crafted from Rough Cut Eastern White Pine and boasts a rough-cut rustic style. Above all this hutch features plenty of dynamic storage space with full-extension drawers. 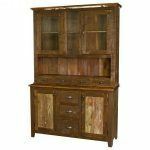 You can explore Brandenberry’s collection of hutches online at Brandenberry Amish Furniture. If you’re visiting Shipshewana, stop in at our ‘brick and mortar’ store. Here you can talk to their expert customer service staff and view our handcrafted furniture for your self.